Vintage One: 20 years of Mtn Bike passion and counting. : Who will do it right? : Softails and the promised carrot left dangling. Who will do it right? : Softails and the promised carrot left dangling. OK...I will say it again - One of the best things about 29ers is that they do more with less. Less suspension, less tire size, less gears, less. Yet, they allow for a great ride and bennies despite the seeming lack of squishy bits and such. Mr. Peabody and Sherman. Ah, yes. Good times. Now, let's step into the WABAC machine and go back to the days when the first softails that I recall came into existence. I remember the KHS and the Ritchey ones most of all, then there was the Ti Moots YBB and some stuff from Castellano and Ibis. I remember talking about a design that pedaled well and yet 'took the edge off' of things. What defines a softtail is kinda vague, but I would say that in a pure sense it would be limited travel, 2" or less, and no real pivot at the chainstay. It relies on flex in the material to allow for wheel movement. I never got one, but I always was up on the concept. 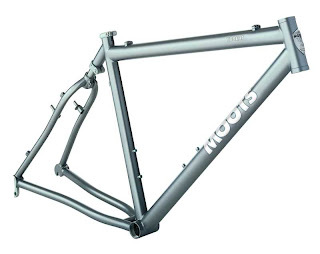 Fast fwd to today and the 29er, something that almost singlehandedly resurrected the viability and commercial appeal of the steel hardtail from the shelves of Walmart and put it back into high demand, is rolling large and in charge across the countryside. A well designed HT in 29" mode is pretty smooth and I have found that, for me, even 3" of travel in the back end is plenty. 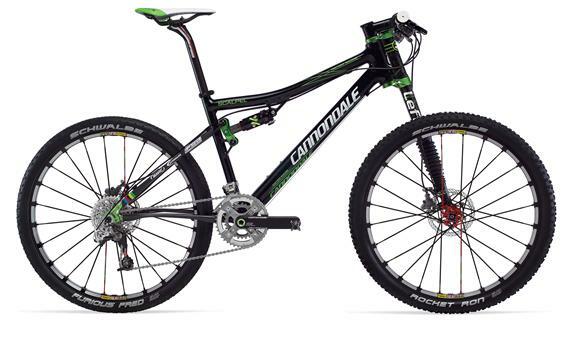 What could be the perfect combo but a 29er and a soft tail? Can you imagine the marriage of snappy acceleration, a light frame, and enough 'give' in the frame to be the smoothest hardtail you have ever ridden? The things is, can it be done? I am not sure. There are some versions out now that come close. let me look at some and spout a bit. The Dos Niner: A Salsa Cycles/QBP item, the Dos Niner uses shaped Scandium CSs to accomodate the inch or so of travel out of the air shock. Light and well made, it has been reliable and it is not that expensive at $800.00 or so IIRC. It has a rep for being flexy, especially in the older models. 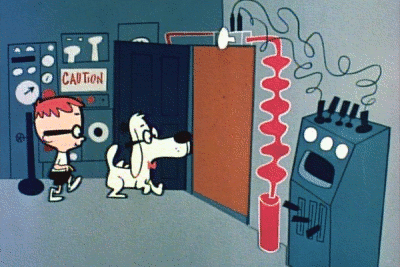 It also uses the rear Relish shock as a stressed member of the frame. Not so good IMO. As well, I friend I ride with has one and I can see the shock cycle as he pedals. it is not moving much, but it is moving, even on smooth pavement. The Siren Bikes Song: 1.5" of travel out of the Cane Creek shock and very innovative use of Ti and Carbon Fiber makes Brendan of Siren bikes a leader in softail design as far as I can see. Downsides? The Ti plates at the BB are not that great looking and it still uses the shock as part of the frame, although I know he is playing with a rocker version. If I was laying down my cash on a softail, it would be this one, even though I have reservations. The Moots YBB: An old-y but a good-y, the YBB as in, Why Be Beat, has been around for a long time and Moots makes a fine bicycle. Ti likely is the perfect material for the Cs material here. The complaints though are the frame is noodly and always has been and the simple but unsophisticated rear damper gets it's share of problems. I saw one ride by once up a trail and it was pogoing like a bunny rabbit. That would bug the heck out of me. $$$ too for 1.125" of squish. The Cannondale Scalpel: I am not sure of the travel here as the home site kind of sucked for details, but I have to say that this bike promises to have it all for me...the rear shock is on a rocker, the chain stays are shaped carbon and should have a tremendous duty cycle, and it looks light and fast. 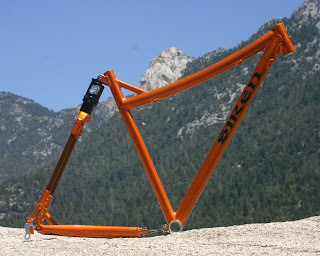 Rumours of a 29er version for 2011. But, will it only be present in a high end racers only $$$ version? Too bad if so. Then you have the odd Lefty fork to decide upon. So, this is one thing I wonder about. 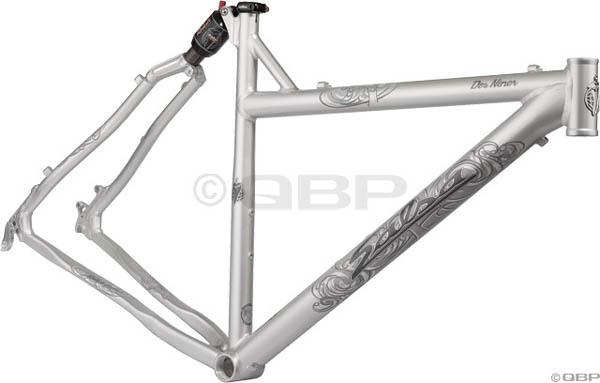 Long time ago some of the early sus designs pivoted at the center of the BB shell in line with the chainstays. It sucked. Tremendous amounts of chain torque induced movement trying to pull the rear wheel over the top of the BB compressed the shock with every pedal stroke. Single pivots went up to be in line with the middle CR as a compromise to keep things stable. Now how is this better with a softail, where all of a sudden they defy science? I doubt it, based on watching the YBB and the Dos Niner in action. I think they get away with it because they have very little travel OR the shock has a Pro Pedal type platform to keep things in check. Then the idea of having the shock as part of the seat stays is not that great an idea. A shock is not a very good frame tube IMO. It works, but it has to be a compromise in durability, stiffness, and frame design and fit for smaller riders. A small rocker is a better way to go, taking that stress of of the shock body. The thing is, once you begin to get rockers and pivots there, how far are you away from something like a Lenz lev 3.0 or Milk Money? Not far. When is it not a softail anymore? I have to think that it will get sorted out as it promises huge bennies for 29er riders who care about a fast and efficient bike. I am looking to the Cannondale to hit that high jump bar, but we shall see. Often small innovators like Siren can get there first, but will it be affordable? Finally, I would not put it past Salsa to get it smack on....light enough, cheap enough, stiff enough, fast enough, but the Dos is not it. I bet they know that too and it would not surprise me to see revisions of that bike on someone's Soft Modeling screen display. Meanwhile, I wait, dangling that carrot that has tantalized me for a decade or more. No bites yet.